Trinity started the day in third in Lincolnshire League and with an outside chance of catching Lincoln Moorland Reserves, but Frazer Chapman’s first-half strike put the White Wolves ahead at the break. Gainsborough fought back and came through thanks to three second-half goals without reply. 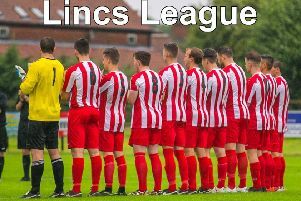 Louth stay 11th and host Grimsby Borough Reserves in a battle of the basement on Saturday. Kick-off at Saltfleetby is 3pm.